Lifestyle ICONIC DESIGN FOUR speaks to legendary fashion and homewares designer Kenzo Takada about the poetic story of the KENZO brand. 26 ART Beauty in darkness’ explores the baroque-style murals from street artist Ted Pim. 18 LIFESTYLE Lauren Bush Lauren talks about her clothing brand FEED, which donates a percentage to the United Nations World Food Programme. 32 CHEF SAFARI World-renowned chef, Jean-Georges Vongerichten, takes us to São Paulo for a look at the city’s offerings. Travel 92 CHECK-IN Four exquisite locations in South Africa, UK, India and Australia. TRAVEL FOUR heads to the rugged mountains of Oman to see why it’s becoming a popular travel destination. 100 REBRANDED Two Seasons Hotel, Dubai opens it doors to FOUR. Travel LUXURY LAYOVER Imagine a place where you can focus on you: Welcome to Mahagedara Retreat, a luxurious getaway in the Sri Lankan jungle. 122 BEAUTIFUL DESTINATIONS Travel blogging expert, Jeremy Jauncey of Beautiful Destinations, shares his top autumn destinations. 130 CGH EARTH Prakriti Shakti, a clinic of natural medicine. 145 ST BART’S CARIBBEAN FOUR escapes the cold and heads to Le Guanahani Hotel and Spa in St Barths. 119 CHEVAL BLANC La Residence de la Pinede is the creme de la creme of the Cote d’Azur. with a design concept from prolific architect Jean-Michel Wilmotte, all set within a lush natural park. 126 TRAVEL INDIA Delhi is a melting pot of ethnicity and religions, we check out the stunning array of historical monuments it has to offer as well as Asia’s Largest Spice Market. 138 RESORT RIO GOA Nestled on the banks of Baga River in Arpora, known for its Architecture and Hospitality, Resort Rio is a Five Star Luxury Deluxe Resort in North Goa. 148 D MARIS BAY An Oasis of Luxury on the Turkish Coast, that features firstclass service, exceptional restaurant options and knows how to cater to a crowd that accepts no less than the best. Property PROPERTY Engels & Volkers Private Office, the International real estate network has extended it’s superior local knowledge within Spain and Andorra. 158 DESIGN HOTEL An Indonesian Idyll - The Bulgari Resort Bali offers an exquisite piece of paradise. elcome to the exciting new edition of FOUR Middle East, where we bring together a mixture of Michelin Star talent from the UK, South Africa, Singapore to Spain. We go in depth with a insight to their views on restaurant interior to various topics and signature dishes portrayed as pieces of art. We start with Female Chef of the Year 2018 Clare Smyth sensational restaurant Core, Chantel Dartnell one of a kind Restaurant Mosaic , Julien Roger award winning celebrated Odette restaurant to Paco Perez Enoteca restaurant at the spectacular Art Hotel Barcelona. We wonder through India’s Wellness hot spot with CGH Earth from page 138 to 143, to Turkey’s leading resort D Maris Bay on pages 156 + 157 . An exclusive sit down with fashion icon, Kenzo Takada starting on page 18. We finish off with Mr. Guy Oliver, from Oliver Laws as our guest on Interior Design on pages 165 + 166. 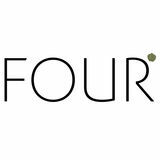 Enjoy, indulge and don’t forget to visit four-magazine.com for daily recipes, interviews and lifestyle features. FINEST HANDCRAFTED PORCELAIN. CONTEMPORARY SINCE 1747. Welcome to Hotel Arts Barcelona, where city meets sea. Discover truly personalized service, an experience in which you play the starring role in an exclusive environment of well-being, luxury and completely individual attention. The Crème de la Crème of Couture Candid, daring and unapologetically himself, Kenzō Takada is a design powerhouse who revolutionised the fashion industry. From being a pioneer of prêt-à-porter fashion to conceptualising the mass-market designer collaborations that are still trending to this day, his label Kenzo is undeniably one of the 20th century’s fashion and design icons. PREVIOUS PAGE Designer Kenzō Takada. ABOVE One of the new designs from Roche Bobois and Kenzo collaboration. RIGHT Pops of colour and floral accents typical of Kenzo can be found throughout the collection. LIFESTYLE « couture. The designs draw on graphic and cultural and cultural references, blending origins, mastering colours and creating delicate patterns. FOUR speaks to Kenzō about his journey in the fashion and design industries, and his recent collaboration with Roche Bobois… WHERE DID YOU GROW UP? “I was born in Himeji, Hyōgo Prefecture. I grew up in Umegae-cho, just north of Himeji Castle.” HOW DID YOU GET INTO YOUR LINE OF WORK? ABOVE Kenzō with Yves Saint Laurent. BELOW Takada has been an icon of the fashion scene since launching in 1970. WHAT WAS YOUR INITIAL BRIEF FOR THE RECENT COLLABORATION WITH ROCHE BOBOIS? “About more than three years ago now, I met the team and Nicola Roche through friends. We quickly agreed to work together on this great project. Our teams got along very well and the process took some time, but was a real pleasure to work on as they made everything possible. Roche Bobois is a very well-known brand and I’ve owned some pieces of their’s in the past. “Right after the first few meetings, we decided to work on several concepts inspired by Japanese crafts. The creative process was long, and we reworked several time on the different graphics, textiles and colours, and later added more elements to the collection. “Roche Bobois really allowed me to express myself freely and didn’t obstruct in any creative process, but actually allowed me to go beyond my expectations thanks to their great know-how and manufacturing capacities. Even if it was sometimes very challenging for certain technical aspects, their knowledge has been an excellent asset for me and my team. “In the end it really came naturally. I always loved and enjoyed working around the home environment.” CAN YOU TELL ME A BIT MORE ABOUT YOUR DESIGNS IN GENERAL? DO YOU HAVE A FAVOURITE? “I couldn’t choose a favourite, as I pushed Roche Bobois to come out with the three different colour tones. I was convinced that it could give more options for people to choose from, knowing that it is not so simple to pick the right furniture that will fit in harmony with the rest in someone’s home. It is very important to find harmony in a home. I think the collection works very well together, and individually speaking I’m very proud of it.” WHERE DO YOU GET INSPIRATION FOR THE DESIGNS YOU CREATE? « from my various trips. My designs are inspired by many cultures and different crafts from around the world, but these days probably a little more by Japan.” DO YOU FEEL YOU HAVE A SIGNATURE DESIGN STYLE OR PHILOSOPHY THAT IS APPARENT IN ALL OF YOUR WORK, AND HOW WOULD YOU DESCRIBE THAT? “My designs are always colourful and graphic. I like them as such, I want it to be joyful, it is important for me to transmit as much positivity as possible. Florals are, of course, an important aspect to my creative identity. As I grow older my design sensibility is a little more sober, but I try to maintain my own style as much as possible.” WHERE AND HOW DO YOU SOURCE THE PRODUCTS, MATERIALS AND CRAFTSMEN FOR THE PROJECTS? “I source the products and materials from all over. Every single thing can inspire me in my designs, and I can find inspiration during my trips while reading a book, or even from a piece of artwork. As for craftsmen, I enjoy working with artisans. It is inspiring to see them manufacture pieces with their unique savoir-faire.” HOW IMPORTANT IS IT TO YOU THAT YOU SUPPORT LOCAL CRAFTSPEOPLE IN YOUR INTERIOR DESIGN PROJECTS? ABOVE Mokko sunglasses by Masunaga x Kenzo. BELOW Green, rose and yellow vases from the Kenzo homeware collection. manufacturing and production, I really love to visit small manufacturers in Japan, Italy and France. I admire craftsmen’s rare knowledge and savoir-faire, and I am very enthusiastic to see a new generation and wave of artisans that is committed to preserving ancient know-how. WHAT’S NEXT? Fashioning change Flying the flag for a generation of ethical entrepreneurs, Lauren Bush Lauren aims to tackle world hunger and raise awareness of social issues with FEED. Lauren speaks to us about how her line of fashionable bags is just the start of a whole movement towards world change. I was born in Denver, Colorado, but spent most of my childhood in Houston, Texas. HOW DID YOU GET INTO YOUR LINE OF WORK? I was actually still in school when I came up with the idea for FEED. During my sophomore year I became an honorary spokesperson for the UN World Food Programme, and it was during my trips to places like Guatemala and Chad, as well as here in America, that my eyes were opened to the devastating effects of the global hunger problem, which affects millions of people – especially women and children – around the world. I knew I wanted to do something more to help, and that’s when I came up with the idea for FEED. HOW DID THIS EXPERIENCE TURN INTO FEED PROJECTS, AND WHAT MAKES IT SO SPECIAL, IN YOUR OPINION? I was always interested in fashion and design, having spent time modelling and taking design classes during breaks from school. I created FEED out of a desire to provide a tangible, accessible and shareable way for people to engage with such a massive issue and really make a difference. Each product provides school meals in a way that is completely transparent and easy to understand. FEED empowers people to do good with the purchases they make. We were one of the first companies with a giveback at its core, and with so many brands now incorporating a social mission into their model, I think it’s really special to have been one of the first. DO YOU THINK THAT FEED IS ACHIEVING WHAT IT SET OUT TO DO, AND HOW? Absolutely! It’s always so exciting to reach a new milestone, from making our first sale to hitting the 100 million meals mark this past fall [autumn]. We’re 10 years in, and the FEED community’s dedication to making a difference continues to impress me on a daily basis. OPPOSITE Lauren Bush Lauren, CEO and founder of FEED. ABOVE The FEED Shop & Cafe in DUMBO, Brooklyn, NYC. WHERE DID THE INSPIRATION COME FROM FOR THE DESIGNS YOU CREATE? LEFT Lauren Bush Lauren with the FEED mural and product line at the NYC store. BELOW A travel duffel bag, cosmetics case and luggage tag from the FEED collection. HOW WOULD YOU DESCRIBE THE DESIGNS OF THE FEED PROJECT PRODUCTS FOR THOSE WHO DON’T KNOW ABOUT THEM? We’ve definitely stayed true to our roots in that all of our designs have a consistent feel – even as we create more elevated silhouettes and now that we’ve incorporated vegetable-tanned leather into our lineup – and a consistent, beautiful, muted colour palette. I’d say that all of our products are incredibly functional, versatile and, of course, impactful without sacrificing style. CAN YOU TELL ME A BIT MORE ABOUT YOUR DESIGNS IN GENERAL? DO YOU HAVE A FAVOURITE? ABOVE FEED works with established cooperatives around the world to create beautiful, artisanmade products. WHERE AND HOW DID YOU SOURCE THE PRODUCTS, MATERIALS AND ARTISANS FOR THE PROJECTS? BELOW Lauren Bush Lauren, assisting with lunch prep at a school in Mozambique last year. Truly all over the globe, and it varies from collection to collection. We do have a few artisan groups that we’ve worked with again and again to create stunning limitededition bags – the last one sold out so quickly I couldn’t even get my hands on one – and longer-term collections, like our Kenya Bag, which is hand-beaded and gives back specifically in Kenya. WHAT WAS, OR IS, YOUR BIGGEST CHALLENGE? New challenges arise every single day when running a business and growing a brand, but I’m fortunate to have an amazing team that is always willing to go the extra mile and navigate collaboratively through any obstacles that come our way. Each new milestone we hit is a wonderful reminder that our hard work is paying off in terms of both building relationships with our customers and making a difference in the fight against childhood hunger. The biggest challenge comes in knowing and acknowledging how much more work there is still to do to fight hunger and how much more we can all do, and pushing ourselves to do more, think outside the box and always stay true to FEED. WHAT FACTORS DO YOU THINK HAVE BEEN THE MAIN CONTRIBUTIONS TO FEED’S GROWTH? voice that is honest, reliable and attainable. We are reactive to trends in the space and we are branching out to reach new audiences, but we never lose sight of our core values and our heritage style – the things that people equate with FEED. I certainly can’t take credit for all of it – my FEED team embodies all of this, and they are always pushing us forward while keeping us rooted. WHAT’S NEXT? So much! We’re continuing to grow and evolve as a lifestyle brand, finding new, tangible ways for people to engage with the fight against global hunger. We can definitely be proud of the fact that we’ve been able to make a difference – thanks to our incredible consumers – but there’s still so much more to be done. « always sparks conversations. However, since we just launched our first ever travel collection, I’d have to mention that the Overnighter Bag has been with me constantly so far this summer! BEAUTY IN DARKNESS Echoing old masters such as Caravaggio and Rembrandt but updated in imagery, street artist Ted Pim creates massive murals that channel Baroqueinspired dark drama and disturbing realism. WHERE ARE YOU FROM AND WHERE DID YOU GROW UP? I am Belfast-born and bred. I’ve been lucky enough to have lived in Spain and the United States, but moved home around five years ago. HAD YOU ALWAYS WANTED TO BECOME AN ARTIST OR WHAT IS SOMETHING THAT YOU GRADUALLY REALISED? I have always been creative, painting and drawing since a child. I studied art at both school and college. After a few years of working in an office I realised it wasn’t for me. I quit the day job to become a full-time artist in 2015. It was always a part-time passion, and I love that I am able to do it full-time now. CAN YOU EXPLAIN A BIT ABOUT THE BACKGROUND OF YOUR RECENT PROJECTS? For the past few years I have been working with The Cool Hunter, building my profile and getting my work in front of collectors. I’ve been lucky enough to have my work in the same collections as some of my idols such as Bacon, Matisse and Freud. After painting portraits for about seven years I started painting still-life flower scenes inspired by the Dutch masters, and have just commissioned my own flower scenes for the next series. â&#x20AC;&#x153;The work is a contrast of dark, but somewhere there lies beauty. I like to think each painting has captured a sense of hope coming out of the darknessâ&#x20AC;? WHAT’S NEXT? I have been playing around with colour in the current series, and I’m trying to find a balance of flowers and portraits that would work well together as a series for a solo show. Bill from The Cool Hunter and I have also pencilled in some dates for a solo show – a fitting city for my art in autumn, so watch this space! ABOVE Jean-Georges Vongerichten. BELOW LEFT Brazilian cuisine at its finest at D.O.M restaurant. BELOW RIGHT Nino Cucina, a slice of Italy in São Paulo. ABOVE LEFT A Casa do Porco is food heaven for pig lovers. ABOVE RIGHT Choice meats and homemade charcuterie at A Casa do Porco. BELOW LEFT Creative mixology at SubAstor in Vila Madalena. BELOW RIGHT The Baretto bar at Hotel Fasano oozes both sophistication and style. LEFT The bar and dining room at Core. I just really wanted to refocus on everything I had learned and done in my career so far, so everything came back to the root – or the core – of everything. It therefore seemed so right to call the restaurant that, and it really puts the focus back on the core ingredients, which is the team.” The chef spent eight years at Gordon Ramsay’s threeMichelin-starred flagship in London. A turning point came when she left Ramsay’s restaurant in 2015 to embark upon her first solo project. “For me it was a natural point to look back on everything I had done and question everything I believed in, so that I could start afresh.” Two years later Core opened, and it has since gone from strength to strength under the dedicated and humble attitude of Smyth. “It was absolutely the right time to do it. You establish and build the personality and ethos that you want to channel, and now the restaurant is a year old, it’s really developing its own character.” During her time at Gordon Ramsay’s restaurant, Smyth became the first and only female chef to run a three-starred UK restaurant and quickly developed an international name for herself. She worked hard to carve out a successful career, and proves that this is really what pays off in the kitchen. PREVIOUS PAGE Clare Smyth plating up a dish. RIGHT Lamb, braised carrot, sheep’s milk and yoghurt. LEFT The chef’s table at Core. RIGHT Isle of Mull scallop cooked over wood. RIGHT Lemon parfait with honey yoghurt. THE VILLAS AT FOUR SEASONS A private sanctuary in the heart of the Serengeti, the five free-standing villas at Four Seasons Safari Lodge offer family and friends a luxurious retreat from which to enjoy all of the magic of a safari vacation. Gaze out over uninterrupted savannah views from a private pool or recline on a secluded terrace after a morning game drive â&#x20AC;&#x201C; however guests choose to relax, Four Seasons will ensure to make every moment a treasured memory, with private butler service and a host of exclusive in-villa amenities. CATALAN’S BLUE-EYED BOY From baking pizza under the sun to incorporating 3D printing into fine dining, Catalan chef Paco Pérez’s gastronomical journey is imbued with creativity and innovation. LEFT Welcome area at Enoteca Paco Pérez restaurant. LEFT Dinning table with display of wines on the wall behind. RIGHT Gamba con Cresta en Suquet / Prawn in suquet sauce. LEFT Dinning area with display of olive oil on the wall behind. RIGHT Paco Pérez at Enoteca’s kitchen. RIGHT Almohada / The Pillow. BELOW The grounds, interior and exterior of Restaurant Mosaic at the Orient. PREVIOUS PAGE Katonkel. ABOVE Tidal Pool. B E CAP TI VATE D BY THE PER E N N IAL BEAUT Y The Table Bay, opened in May 1997 by iconic former South African president, Nelson Mandela, is situated on the historic Victoria and Alfred Waterfront. Perfectly positioned against the exquisite backdrop of Table Mountain and the Atlantic Ocean, The Table Bay provides a gateway to explore the Cape from scenery to cuisine to wine. A stay at The Best Address in Cape Town affords every guest once-in-a-lifetime opportunities to be graced by the synergy of two oceans, moved by the boastful flavours of food and wine and be captivated by the sheer beauty of the Capeâ&#x20AC;&#x2122;s breath-taking sceneries. CHANTEL DARTNALL « unique way, reflecting the personality of the chef and nature on the plate.” Her team at Mosaic certainly lives up to this requirement, especially the sommeliers who work with Chantel. Not only have they managed to curate a cellar with more than 75 ,000 bottles of wine with 5 ,500 different local and international labels, which is a feat on its own, they have also managed to earn a 2018 Grand Award from US magazine Wine Spectator for this cellar and its accompanying wine list. The sommeliers have worked closely with Dartnall to ensure that each course is paired perfectly with the wine from their cellar that will enhance the dish. In true Dartnall style, however, her and her team have also put as much thought into the pairings for the teetotallers. These non-alcoholic drinks also serve to perfectly complement the dish, such as the lime and lemongrass spritzer that accompanies Sea Mist, a dish that merges the soft aromas of the sea with succulent langoustine and scallop, finished off with a touch of saffron foam. Other dishes from her CosmOrganic menu include Song of the Sea, which marries salmon with ground wasabi peanuts, coconut flour, oyster leaf, kombucha and yuzu oil, and Some Birds Don’t Fly, a cold beetroot and ostrich tartare that is accompanied by a hot ostrich ravioli in a rich consommé. BELOW Interior of Restaurant Mosaic. RIGHT Alchemist’s Infusion. « menu, it is not simply to make the plate look pretty. For her, the menu is “a convergence of art and living food, where the plate is the canvas upon which fresh, organic, heirloom produce creates the painting.” Looking back on her culinary journey, Chantel admits that her personal style of cooking was initially inspired by one of the great pioneers of botanical cuisine, chef Michel Bras in Aubrac, France. “As a young chef I could relate not only to his style of cooking but also find a descriptive name for the style of cooking I was interested in. Although I did not work in his kitchen, I studied his book, his recipes and his philosophy. With the ease of travel today, I have been fortunate to make the ‘culinary pilgrimage’ to his restaurant on two occasions.” Chantel’s visits to prominent chefs during her travels as a young chef led her to discover some of the greats in the industry, such as Martín Berasategui, Pedro Subijana at Akelarre, Pascal Barbot at L’Astrance and Peter Goossens at Hof van Cleve in Belgium. It was meeting these chefs and hearing about their philosophies on food that gave her direction in her career. “In some or other way they were all mentors who guided me at different crossroads in my career.” When asked whether she had always seen being a chef as her future career, “Absolutely!” is her answer. PREVIOUS PAGE Rosemary Smoked Organic Egg. LEFT Foie Gras ‘Comme un Pho’. Authentically Arabian Maxime Jacovella takes us on a voyage of discovery to the mountainous region of Al Jabal Al Akhdar, in the unspoilt Sultanate of Oman. ABOVE The Eastern Mangroves Hotel & Spa by Anantara in Abu Dhabi is a great stopover on the way to Oman. BELOW The hamman at Eastern Mangroves Hotel & Spa by Anantara. AL BUSTAN PALACE, A RITZ CARLTON HOTEL A fine luxury escape. ith its signature brand of hospitality – world-class coupled with modern luxury, Al Bustan Palace, a Ritz-Carlton Hotel in Muscat, Oman, seamlessly blends state of the art technology with heritage. Newly unveiled after a round of re-enhancement, the five star hotel exudes its own distinct style, a pairing of timelessness and glamour. Al Bustan Palace is a secluded oasis fringed by the Al Hajar Mountains and the azure waters of the Gulf of Oman. Check in to a spacious, beautifully appointed suite that boasts of opulent materials, amenities and neutral tones – all designed to offer an aura of tranquillity and elegance. Five star amenities add a deep level of comfort as you enjoy panoramic views of this exotic part of the world. Whether you’re here on business, a weekend break, or a few days with your family, we invite you to explore a meaningful wellness experience at Six Senses Spa. This holistic, transformative journey involves a leisurely 80 minute long spa treatment and a workshop to learn how to create a body scrub at the spa’s Alchemy Bar. « restaurant, we finally hit the road for our long-awaited destination, Oman – but more precisely another Anantara property, just recently opened and nested high up on top of Al Jabal al Akhdar, which means ‘Green Mountains’ in Arabic. The altitude at which the Anantara is located (it’s the highest five-star resort in the region) means that it can be visited year-round, with March through to November offering the best weather. This also tends to be the busiest period for the property as folk from neighbouring Gulf countries seek cooler weather to beat the heat. Winter nights can sometimes reach as low as 1-2°C, so if you are to visit in that period be sure to pack your warmest cashmere. ABOVE Views of Birkat al-Mouz from The Eastern Mangroves Hotel & Spa. BELOW-LEFT Traditional Omani welcome from staff. BELOW-RIGHT Driveway entrance to the Anantara Al Jabal Al Akhdar Resort in Oman. ABOVE-LEFT The Premier Canyon View Room offers panoramic views over the rugged terrain. ABOVE-RIGHT Sunset views from restaurant Al Maisan. BELOW Mountaintop yoga, one of the many activities available at the Anantara Al Jabal Al Akhdar Resort. variety of gradual and intermediate climbing routes. For the thrill-seeker there is a Via Ferrata, which enables you to literally walk along the face of the cliff through the use of steel cables that are bolted into the rock. The property has a generous food and beverage offering, with three restaurants, a café and a shisha lounge. Bella Vista serves freshly made, authentic Italian food and is renowned for its wood oven-fired pizzas. Al Maisan, the all-day dining venue where breakfast is taken, offers an international menu with a gorgeous terrace overlooking the flowery gardens. The signature venue, however, is Al Qalaa, which is housed inside an Omani fort-like building with incredible interior decor. If you have time after your meal, it is worth climbing up to the top of the tower where there is a telescope enabling you to enjoy some stargazing action. The Anantara is a one-of-a-kind property that has become one of the most popular and sought-after properties in the region. Its grandeur, combined with it’s phenomenal location and unique charm, has made it one of the most coveted hotel in the world, entirely justifying its appearance on BBC Two’s Amazing Hotels: Life Beyond the Lobby in the UK earlier this year. DISCOVER THE PEAK OF WORLD-CLASS LUXURY AND EXPERIENCE THE HEART OF OMANI HOSPITALITY. BELOW The spa and pool area at LANZERAC. RIGHT A Royale Suite interior. ABOVE The Headmasters Room. RIGHT The Terrace. BELOW The Teachers Room. ABOVE Inside the eco-chalet. BELOW Christmas Island Red Crab’s tidy the jungle floor. Enchanting Rejuvenation Looking for spaces that lets you unwind your stress? Donâ&#x20AC;&#x2122;t look further, Two Seasons, Dubai brings you the enchanting aura of luxury and beauty to rejuvenate yourself from your busy lives. PREVIOUS SPREAD Premium Suite sea view. ABOVE Lobby entrance. BELOW Pool view. TRAVEL « as you spend some great moments with your partner or friends and family! When it comes to dining options, the Two Seasons Hotel and Apartments offers a host of cuisines to cater to their varied clientele. From International, Asian to Arabic cuisine, there’s everything to satiate the appetite of the hotel guests. Le Grand Café, conveniently located in the hotel lobby, is a great place for some informal banter with friends over a cup of coffee and freshly-baked confectionery. This 24-hour Café offers a wide range of fresh pastries, snacks and healthy eats. If you are a coffee aficionado, you are sure to get thrilled with their association with Starbucks! Open 24 hours. The all-day dining restaurant, La Terrasse, offers not just breath-taking views of Dubai’s cityscape, but also some great food options! Spacious and designed in contemporary style, this restaurant can host close to 200 guests, and offers both a la carte and international buffet options. Every night, the guests can look forward to a themed dinner buffet and relish the eclectic food on offer. That’s not all – there’s also a live cooking station where chefs whip up the choicest delicacies in front of the guests’ eyes! Guests can also enjoy complimentary Wi-Fi access while dining at La Terrasse. Open daily from 6:30am to midnight. The Hotel offers two plush lounges – La Terrasse and Sky Lounge – to its guests, who want to soak in the beauty of Dubai over a softs and shisha. The La Terrasse Lounge, situated on the 8th floor, affords panoramic views of the Dubai coastline and Palm Island area. Guests can enjoy delicious Arabic fare from the a la carte menu and unwind with flavoured shisha. For those who want to scroll through their social media, fret not – there’s complimentary Wi-Fi access for you! Open daily from 9:30am to 3am. BELOW The Sky Lounge area. ABOVE La Terrasse Restaurant. ABOVE La Terrasse Restaurant. BELOW Deluxe Suite city view. estled in the heart of Sri Lanka’s largely untouched jungle lies Mahagedera’s Wellness Retreat. Established in 2017 by female entrepreneur Lakmali Abeynayake, the Sri Lankan born visionary set out with a mission to challenge mainstream conceptions of wellness retreats and in doing so, create a holistic and entirely immersive wellness experience. With a focus on sustainable design, eco-tourism and supporting local Sri Lankan economies, Lakmali’s seven-acre plot of land is home to monkeys playing in the treetops’ canopy, elephants roaming in undisturbed rice fields and butterflies flirting with the open skies above. With an aim to disconnect people from the stresses of their usual lives, Mahagedara reconnects people to their free and true selves in a place founded on untamed nature, community ties and organic produce. “What was important when I created this retreat was recognising wellness is not superficial. Wellness is about your physical, spiritual and mental health. To us, it’s about acknowledging the various components of wellness and bringing them together to create a wholesome experience”, Lakmali explains. ABOVE Paddyfield at Mahagedara Wellness Retreat. BELOW Pool at Mahagedara Wellness Retreat. ABOVE LEFT Lion Rock Sigiriya. ABOVE RIGHT Spices. BELOW Kadulla National Park. LA RÉSIDENCE DE LA PINÈDE Home of Michelin-starred chef Arnaud Donckele with a design concept from prolific architect Jean-Michel Wilmotte, and all set within a lush natural park, La Résidence de la Pinède is the crème de la crème of the Côte d’Azur. ABOVE Sweeping views of the sea and mountains along the Côte d’Azur. OPPOSITE Rooms decorated with bright and fresh tones of the surrounding panoramic views. then head to La Terrasse restaurant. Offering modern-day, simplistic cuisine with hints of the Mediterranean, the menu highlights local and seasonal ingredients as well as having direct access to Le Bar. With its nautical-inspired decor, Le Bar invites all to a refreshing interlude with a laid-back atmosphere that is typical of the Côte d’Azur. When all the eating and drinking has become too much, then the private beach at La Résidence de la Pinède is the perfect place to take refuge. Plage de Bouillabaisse not only boasts soft, white sand, private views of the bay of Saint-Tropez and a prime setting for people-watching, but also an infinity pool. The constantly 30C infinity pool lets you indulge in a swim even if the air turns a little chilly, making this the perfect addition to a blissful retreat. With access points for boats at the end of the jetty, all sea excursions and watersports can be organised right from the end of the beach, ensuring that you never need to leave this haven of bliss. ABOVE Jean-Michel Wilmotte’s design reflects the colours and contours of the Mediterranean. RIGHT Inspired by its seafront location, the hotel is the perfect place to relax and unwind. Andara is set on a gentle hill rising from the Andaman Sea on the upscale West coast of Phuket, offering stunning Ocean views just minutes from the island's best restaurants, boutiques, world-class golf resorts and other attractions. Special events and occasions are accentuated by Andara's renowned Silk Restaurant and exclusive 35m Italian designed motor yacht, offering memorable settings for a fabulous wedding banquet and intimate parties. THIS PAGE The iconic Blue Domes of Oia. FOLLOWING PAGE Flowers outside London’s St Paul’s Cathedral; Churieto Pagoda, Tokyo with views of Mount Fiji. A million enchanting moments. Between you and endless blue. « or get creative with your foreground and frame snowcapped Mount Fuji with the flowering trees. COPENHAGEN Copenhagen comes alive in spring and it’s a fantastic city to wander around and enjoy the green spaces such as Langelinie Park and the canals which you can kayak along to explore further. Nyhavn, which is the waterfront lined with brightly coloured townhouses, bars, cafes and restaurants is a great place to people watch and offers boundless photo opportunities. What’s more, the Danish capital’s foodie scene is not one to be missed and the city boasts no less than 15 Michelin-starred restaurants. CUBA Although the Caribbean doesn’t have a typical spring season, the best time to visit Cuba is in March and April. You’ll be spoilt for choice if you’re trying to capture Havana on camera - the colourful but crumbling buildings, vintage cars parked in rows on the side of the street and locals dancing to the sound of salsa music at every turn. For something a little bit different, head out to Vinales, a town in Western Cuba situated amongst steep-sided limestone hills, known as mogotes which is a great place to hike or even try your hand at traditional cigar rolling. LONDON I live in New York, but my home away from home is London and one of my favourite cities in the world. It’s also one of our most liked destinations on our social channels. Choose from the eight Royal Parks to discover the nature on the city’s doorstep, explore areas off the beaten tourist track or view the iconic landmarks from a different vantage point. See St. Paul’s Cathedral from One New Change or take your picture of Big Ben from Houses of Parliament’s archway. Delhi â&#x20AC;&#x201C; Where the Old and New Coexist Looking for diversified culture? Delhi is the one-stop destination, with the enchanting minaret to the mystique blend of aroma and tradition. Experience a mix of both, ancient architecture and modern wall art and indulge in the cuisines thatâ&#x20AC;&#x2122;ll leave you delighted. I asked my soul: What is Delhi? She replied: The world is the body and Delhi its life.” These words echoed by prolific writer, Khushwant Singh, paint the true picture of Delhi. As the capital city of a country – India- that’s home to over a billion people, Delhi boasts a culture that’s nothing short of fascinating. It is the perfect blend of ancient heritage and modern life, which unfolds beautifully before a first-time visitor and tells the stark contrasts in India. Delhi has witnessed the rise and fall of several kingdoms, and a trip to the narrow by-lanes of time worm Old Delhi, the walled part of the city, is the best way to soak its heritage. The ancient monuments scattered here bear testimony to the times bygone. PREVIOUS SPREAD The magnificent Humayun Tomb. ABOVE The Treasured Tomb. BELOW Saluting the capital with Rashtrapati Bhawan. Natural healing centre or the island of surrender? T Tucked away on the idyllic Divar Island off Goa is Devaaya, the home of divine healing. Where ancient sciences conspire with age-old practices to return you to your purest self. Where healing and hospitality blend into a rejuvenating, luxurious indulgence. Come. Surrender. And discover the joyful, evergreen you. The only international brand that combines Naturopathy, Ayurveda and Yoga with integrative healing to balance your modern lifestyle. BELOW The Aroma of Spices. ABOVE Qutb ud Din Aibak’s Red stone Qutub. « restaurant, Pot Belly in Shahpur Jat will bring the flavours of Bihar well within reach. Delhi, with its close proximity to countries like Nepal and Bhutan, offers authentic options that take your taste buds on a whirlwind of a ride to these destinations. Visit Yeti, The Himalayan Kitchen where you can relish a meal prepared in traditional Tibetan and Nepalese style. Yeti specialises in delicacies not only from the North Eastern states of India like Arunachal Pradesh and Meghalaya, but also Bhutan. Delhi is not just known for its mouth-watering street food, but also offers excellent dining options to experience the best Indian food in comfort, be it traditional or modern. Consistently voted amongst the world’s best restaurants, Bukhara is housed in the opulent ITC Maurya Hotel. Known for its Northwest Frontier Tandoori cuisine, it also serves the famous Clinton Platter & Obama Platter to recreate the experience these two prolific guests had here! ABOVE The magnificent Lodhi Colony. BELOW Relishing taste buds in Old Delhi. Indian Accent has achieved legendary status by becoming the only Indian restaurant to be voted amongst the 50 best restaurants in the world. Reserve a table for an unmatched culinary experience dished out by Chef Manish Mehrotra. Shopping and More: Delhi is a shopper’s paradise. If luxury is your ante, check yourself into the city’s premium malls; Select City Walk, DLF Saket & Emporio that boast a great line-up of luxury brands. If you have some time on your hands, make a visit to Khan Market and Shahpur Jat, where you will find both luxury brands and smaller boutiques by the dozen. Brimming with high- fashion Indian and International brands, it can make any shopaholic go weak in their knees! The biggest and most renowned market in Delhi is Dilli Haat that hosts hundreds of artisans selling the most exquisite handicrafts. It’s a great spot to pick up souvenirs, while making a difference to the local economy. Offbeat Things to do in Delhi: The Mehrauli Archaeological Park & Lodhi Gardens can provide a great escape from Delhi’s hustle and bustle, with its lush green spaces surrounding century’s old architecture. For music lovers, Nizamuddin Dargah is a must on their itinerary. The resting place of one of the world’s most famous Sufi saints, Nizamuddin Auliya attracts Sufi devotees from around the world. Immersing oneself in the soothing sound of live qawwalis (Sufi devotional songs) accompanied by traditional Indian instruments is one of the best experiences whilst in Delhi. Soak in the timeless era of Old Delhi or simply keep pace with the modern vibe and newness of this city. There is an interesting amalgamation of tradition, modernity and individuality that exists here – look closely and your love affair with Delhi is sure to last a lifetime! JAPANESE HOSPITALITY Palace Hotel Tokyo -highly coveted Forbes Five-Star rating, offering “Palatial Pursuits”. mbued with understated luxury, sophisticated restraint and subtle Japanese touches throughout, Palace Hotel Tokyo was envisioned and developed as a tribute to design and omotenashi (Japanese hospitality) and is the only Japanese-owned and managed hotel to garner the highly coveted Forbes Five-Star rating – an award recognized worldwide as a prestigious mark of distinction. The hotel’s singular moat-side setting across from the Imperial Palace gardens - a 3.5-square-kilometer green space in the heart of the city - delivers an incomparable perspective on Tokyo’s natural splendor and the skyline that surrounds from every single guestroom, its spa and nearly all of its restaurants and bars. Mere steps away is Marunouchi Naka Dori, a tree-lined boulevard tantamount to New York City’s Madison Avenue and London’s Bond Street – a popular dining and shopping destination for foodies and fashionistas alike. For guests wishing to delve into Japan’s culture, the hotel’s original series of “Palatial Pursuits” packages offer bespoke experiences such as art tours curated by Tokyo’s art aficionados, introductions to the city’s epic culinary culture by fascinating foodie personalities, and insights into Japan’s unique cultural nuances by those who know best. Healing in the hills Feel the calm that heals you. ABOVE Heal in the midst of nature. RIGHT Return to a balanced you. BELOW Naturopathy for holistic healing. If you are looking to experience luxury and health away from the chaos of daily life, head to Prakriti Shakti and take charge of your well-being! « Hydrotherapy, Mud Therapy, Heliotherapy and Energy Medicine harness the power of nature and boost the healing process. Besides, Yoga is an integral part of Prakriti Shakti’s wellness programme to benefit your health and well-being. Diet is another significant aspect of the treatment offered at Prakriti Shakti. Yes, the diet is customized to your body’s requirement and focuses largely on gourmet raw food to energize and revitalize the mind and body. OPPOSITE Learn to create the most nutritious food you’ve ever had; raw food diet - Uncooked, Unprocessed and Organic; a sanctum for your union with nature. THIS PAGE Reconnect with nature; tap into your body’s healing power with yoga. Resort Rio & Rio Royale The ultimate luxury experience. ABOVE Resort Rio Suite Double Bed Room. BELOW Pickled Mango – Multi Cuisine Restaurant. « At Resort Rio, there’s no way you can stop yourself from indulging at the choicest restaurants. Mamma Mia offers authentic Italian cuisine – from sumptuous antipasto to delicious pizzas baked in a traditional wood-fired oven. If you love seafood, there are numerous options available on the menu at Aagor, a typical Goan shack by the poolside and overlooking the famous salt pans of Goa. Pair your food with the finest selection of wine and you are sure to have a great time! End your meal with one of their flavourful desserts and go straight to heaven! Besides, there is a pure vegetarian restaurant, Jalsa, that serves delectable Gujarati, Jain and Rajasthani fare. Awarded by Times of India Good Food Guide for over six consecutive years. The restaurant offers the best mouthwatering Gujarati and Rajasthani thalis.” The 24-hour Rio Café Bar offers the best ambience to relax and unwind with their range of specialty coffees and light snacks. That’s not all – the desserts on the menu are heavenly and will leave you wanting for more! The evenings can be enjoyed with an exotic cocktail or may be champagne, whatever floats your boat. ABOVE Resort Rio, Goa. RIGHT Resort Rio, Lobby view BELOW Rio Royale Lobby. Step into Bar Terrazzo to sip on some of your favourite cocktails, as you soak in the views of the Arpora salt pans and the Baga creek. If you are looking for culinary delights from the world to satiate your appetite, make a stop at Pickled Mango that serves Indian, Goan, Chinese, Mexican, Thai, Arabic and Continental dishes that are prepared from the freshest ingredients. Host the most opulent wedding amidst a stunning backdrop for your guests at Resort Rio and Rio Royale. The beautiful architecture, top-notch hospitality and specialty restaurants will truly make it an affair to remember. That’s not all – the Resort also makes for a perfect venue for meetings, conferences and banquets with its state-of-theart facilities! Another claim to fame is the award-winning Zaara Spa that offers treatments to relax the mind, body and soul! Discover the range of Ayurvedic treatments to soothing your nerves and experience pure bliss. There’s also a beauty salon, spa pool and a foot massage lounge for those days when you need a dose of pampering. The Caribbean Riviera Maxime Jacovella finds out why St Barth remains the culinary jewel in the Caribbean crown. PREVIOUS PAGE Marigot Bay. ABOVE Cul-de-sac lagoon at Le Guanahani. BELOW Le Guanahani white sand beach. ABOVE Waterfront beach bar. BELOW The luxurious Guanahani is discretely located on a private peninsula of St Barth. ABOVE Spa area and pool. BELOW Room with a view. l’Isle, Cheval Blanc’s signature restaurant, where executive chef Yann Vinsot creates exquisite locally-inspired French food. Here, the design of the restaurant matches the exquisite flavours and colours of the food served. While contemplating the infinite azure of the renowned Anse des Flamands, we indulge in a symphony of incredible food, kicking off with ‘l’Oeuf Parfait”, an egg steamed for 64 minutes at a temperature of 64°C laid on a bed of asparagus and with a drop of caviar on top. The pièce de résistance is ‘l’Agneau Decline de Frères Metzger’ – a slow-roasted lamb shoulder sourced from the famous Metzger Brothers, a high-end meat dealer located in the renowned Rungis market. Sadly, our time on St Barth comes to an end, and as a result I’m made to be shopping assistant at the Guanahani’s very own small luxury goods boutique. While cunningly duped into thinking it was mainly made up of souvenir items, I actually find a curated selection of swimwear, apparel and accessories for men and women. In this moment, my diplomatic and innate negotiating skills come to light as I bargain an hour’s worth of watching her try things on, with one final escapade to one of Ashley’s favorite parts of the island - the rugged and wild l’Anse Toiny, which he tells me offers perfect waves to surf and is renowned for being slightly off the beaten track. At the end of a windy and dusty track, we find recently renovated Hotel Le Toiny’s beautifully landscaped beach club garden, where we enjoyed yet another mouthwatering lunch and our last sunkissed afternoon on St Barth before flying back to London the following day. ABOVE Infinity Pool BELOW Accommodation / Rooms (left). Vitality Pool – Mytha Spa (right). more worthwhile. One can opt for a chauffeured car and navigate their way to the hillside where this hotel is situated. For those who love a shot of adventure, there’s a helicopter transfer available from Dalaman (130 km) or Bodrum (155 km) airport. As you make your way to the hotel lobby, the first thing that strikes you is the stone and dark wood paneling work that lends great aesthetic appeal to this space. A perfect blend of contemporary minimalist style of the West with the exoticism of the East, this property designed by architect Hasan Mingü stands out, especially with his penchant for attention to detail. ABOVE The Silence Beach (left). VIP Helicopter Transfer (right). BELOW Swing on the Maris Beach (left). Presidential Suite – Terrace (right). - Zuma,Manos, La Guerite and Nusr-Et. The breakfast spread served at The Terrace is fresh and delicious and can be enjoyed with a freshly squeezed glass of juice or some black Turkish tea. Indulge in a meal at Maris Kitchen that specializes in world cuisine. Zuma, the brainchild of Rainer Becker, takes its inspiration from informal izakaya-style Japanese cuisine, where chefs sear salmon for sushi and tataki on the robata grill. The undoubted star is Nusr-Et helmed by Instagram sensation, Chef Nusret Gökçe that offers a gastronomical experience like no other! For a more Côte d’Azur-inspired meal, look no further than the classic French fare menu at La Guérite. If your palate craves seafood, make a stop at Manos and you won’t be disappointed. D Maris Bay, which is associated with Bodyism, the world’s leading health and well-being specialists, is also known for the Mytha Spa that provides tailor-made facial and body treatments for both men and women. Come be a part of this immersive experience that offers luxury and comfort like no other! UPGRADING REAL ESTATE Engel & Völkers Private Office, the international real estate network has extended it’s superior local knowledge within Spain and Andorra. ngel & Völkers has expanded its network of high standing services in Spain and Andorra by including the first residential market among the services of its Private Office division. The German company has selected some real estate agents from the Market Centres of Barcelona, Madrid and Valencia, which due to their success and network of contacts, have become part of this division. With this implementation the company reinforces its premium service which already existed in Iberian top locations like Mallorca, Marbella, Ibiza and Andorra. The entire presentation took place at the business centre that the company has in the capital of Spain through a work seminar that ended with a culinary experience at the prestigious Coque Restaurant in Madrid. APPOSITE Barcelona. E&V ID: W-028YKD and W-028YK7. ABOVE, LEFT Madrid. E&V ID: W-02AB76. ABOVE, RIGHT Valencia. E&V ID: W-028V6W. BELOW Group picture of the culinary experience at Coque. RIGHT Madrid. E&V ID: W-02AB76. AN INDONESIAN IDYLL Blending traditional Balinese style with dramatic contemporary Italian design, as well as the latest Michelin star cuisine from Luca Fantin, the Bulgari Resort Bali offers an exquisite piece of paradise. ABOVE Il Bar. BELOW Bulgari Villa. FOLLOWING PAGE, CLOCKWISE FROM TOP LEFT Bedroom; the beach club; the spa; swimming pool. « in a suggestive and more formal atmosphere. Superior quality of produce, refined techniques and creativity are the fundamental ingredients of the resort’s cuisine. Then there is Il Ristorante by Michelin-starred chef Luca Fantin, an Italian-inspired venue that pays homage to classic dishes from the country. Guarding the same spirit of the successful and award winning, Il Ristorante - Luca Fantin in Tokyo, the restaurant maintains its credentials for being one of most sophisticated dining experiences possible. The menu of the new BVLGARI Il Ristorante - Luca Fantin in Bali, pays homage to traditional Italian cuisine with local, organic ingredients such as tuna, squid, baby pig, pumpkin, corn, lime kafir, mango and coconut. Open for dinner only, the 36-seat restaurant features both Fantin’s signature dishes such as squid ink gnocchi with raw cuttlefish as well as cold spaghetti with caviar and Wagyu beef eggplant, as well as new creative interpretations inspired by the generous richness of the isle of Bali, which include tartare with avocado cream and smoked vegetable, Fassone Beef Tagliata Red garlic and grilled vegetables. The resulting menu characterized by constant research for new colours, tastes and presentations and offers a truly unique dining experience. L .S . D esig n is a f ull ser v ic e A r c h itec tur e, I nter ior D esig n and P lanning p r ac tic e w ith of f ic es in D ubai and L ond on. Found ed in 2002 by O mar A bd elg h af our L .S . D esig n h as d ev elop ed a d iv er se bod y of w or k f r om lar g e c ultur al, r esid ential, c ommer c ial, and leisur e p r oj ec ts to smaller sc ale installations. L .S . D esig n op er ates at th e inter sec tion of A r c h itec tur e, A r t and I nd ustr ial D esig n. Th e O f f ic e sp ec ializ es in c r eating p ow er f ul and eleg ant solutions, w h ic h ap p ear minimally ef f or tless w h ile r esp ond ing d ir ec tly to c ontemp or ar y d emand s. Th e p r ac tic e h as w or ld w id e exp er ienc e in h osp itality, of f ic e, and sing le f amily r esid ential, r etail and mixed - use d esig n as w ell as ur ban p lanning . DESIGN THAT GIVES BACK Guy Oliver discusses how design and architecture can be a powerful tool in the healing of a post-conflict economies. n 1991, Afghanistan was in the middle of a bloody civil war as its neighbour, Uzbekistan, declared independence from the Soviet Union. Everything was in turmoil, yet I was fascinated by the region and the architecture there inspired me. It seemed romantic and otherworldly and it was exhilarating to be there. I saw the restorations of antique adobe buildings of the most incredible scale, and met tile-makers whose artistry with azure and cobalt-blue glazes made the edifices of those buildings shimmer in the intense heat. During the late afternoon we would stop in local markets to sip tea, sitting cross-legged on open-air chaykhanas, elaborately carved four poster beds with colourful textiles hanging about their perimeter screening us from the sun and from quizzical onlookers. My overarching memory was of an exotic and magical place from another time. This experience planted a seed in my mind, but it would be over 15 years before it would bear fruit. ABOVE The Prince’s Lodge at The Connaught Hotel. LEFT Peacock House in Kabul, prior to restoration in 2005. BELOW Guy Oliver of design firm Oliver Laws.